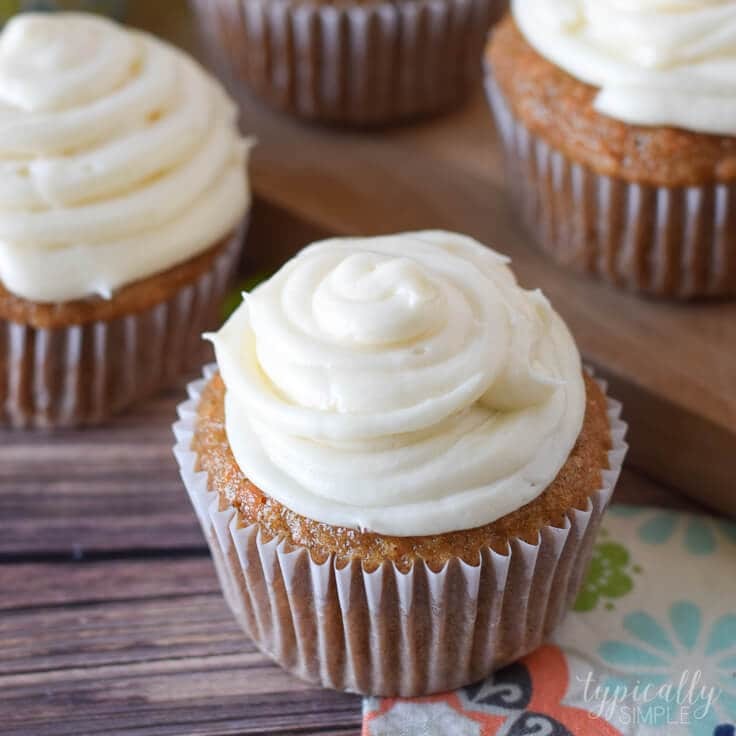 With a hint of cinnamon and a slightly sweet cream cheese frosting, these carrot cake cupcakes are a delicious dessert to serve for Easter or even at a spring brunch. Hi there! 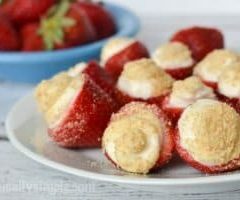 It’s Kelly from Typically Simple and I’m back this month with another yummy dessert recipe. For as long as I can remember, carrot cake has always been one of my favorite types of cakes to eat. 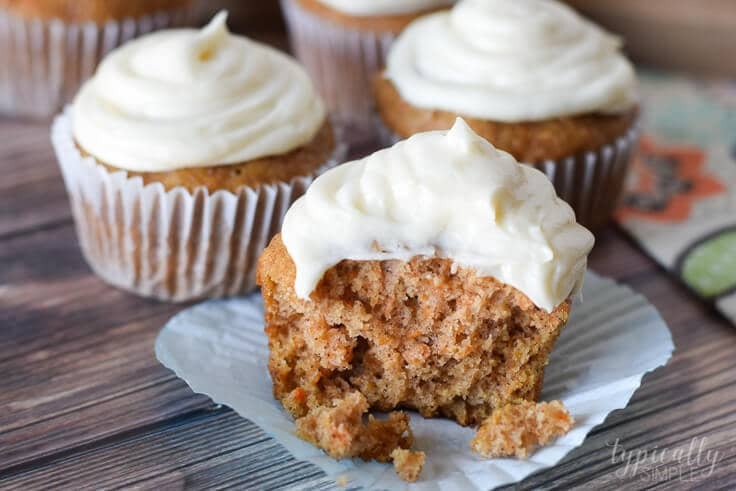 It could be that I just really like the cream cheese frosting, but I do love the yummy carrot cake part, too! Especially when there are walnuts mixed in! For some reason, I’m always a little intimidated when it comes to baking things from scratch. I’m more of a cake mix, add a few eggs and some water, kind of baker. But lately, I’ve been trying my hand at baking different dessert recipes without a box mix. 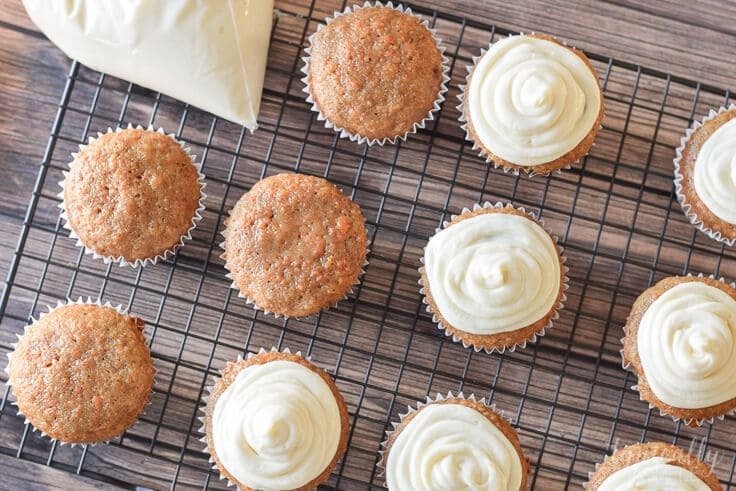 And this carrot cake cupcake recipe was really quite simple! 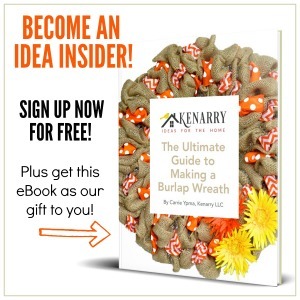 In a large mixing bowl, combine the flour, baking soda, cinnamon, and baking soda. In a different mixing bowl, use a hand mixer on medium speed to combine the oil, applesauce, brown sugar, granulated sugar, eggs, and vanilla extract. Add dry ingredients and mix on medium until combined. Using the mini food processor, chop the carrots until they are finely grated. 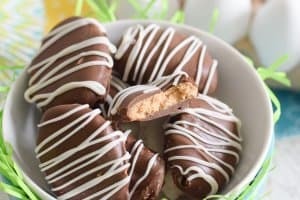 Fold into batter. 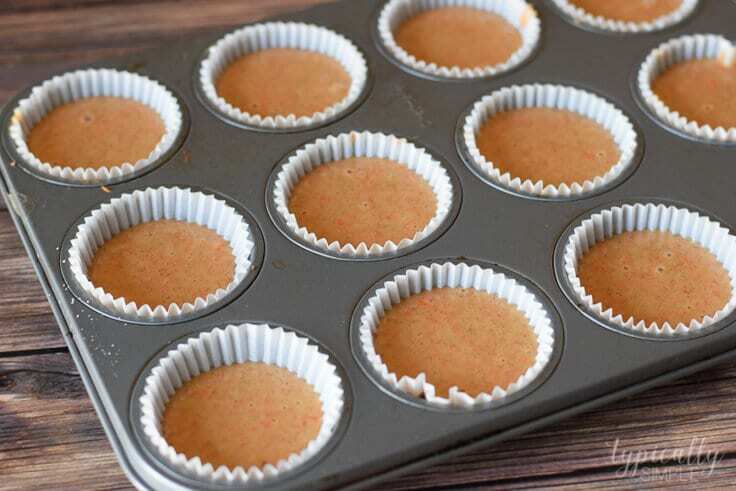 Place cupcake liners in pan with 12 cups and divide the batter evenly. 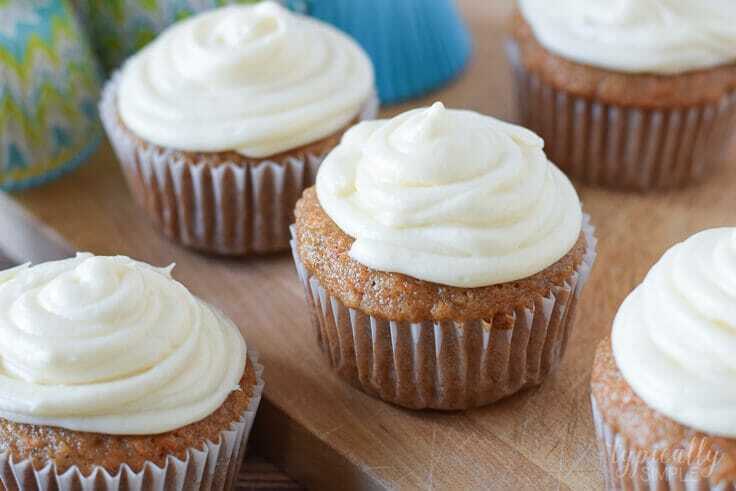 Bake for 18-20 minutes or until a toothpick inserted into a cupcake comes out clean. Cool completely, then ice with your favorite cream cheese frosting. You can use a piping bag or even a ziplock bag with a little bit of the corner snipped off to frost the cupcakes. A butter knife or rubber spatula would also work. Combine flour, baking soda, ground cinnamon, and salt in a bowl. Set aside. Using a hand mixer on medium speed, beat together the oil, applesauce, brown sugar, sugar, eggs, and vanilla until well combined. Add dry ingredients and beat on medium speed. Chop carrots in the mini food processor and fold into batter. Divide batter evenly among the 12 cups. Store cupcakes in an airtight container in the refrigerator. 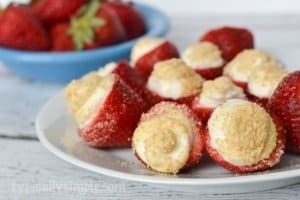 You can bring them to room temperature or serve them right out of the fridge. They are delicious either way! 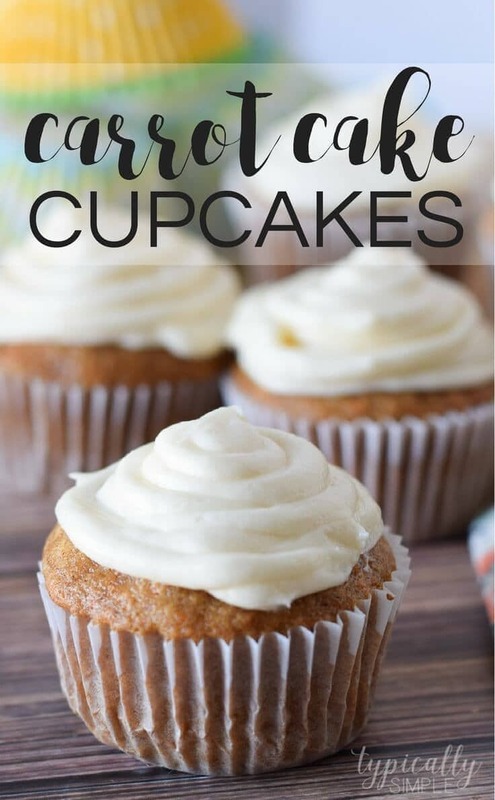 And like the Monster Cookie Bars Recipe I shared last month, you might even indulge a little by having one of these cupcakes with your morning coffee! If you’re a big fan of carrot cake, you may also want to try these Carrot Cake Cookies. They’re like a cookie sandwich with a big dollop of cinnamon cream cheese frosting in the middle. Amazing! 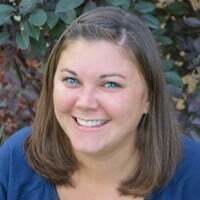 Follow Kelly on Facebook, Twitter, Pinterest, and Instagram.